What's your very favorite day of the week? You might spot me driving slowly by the piles stacked up at my neighbors driveways. 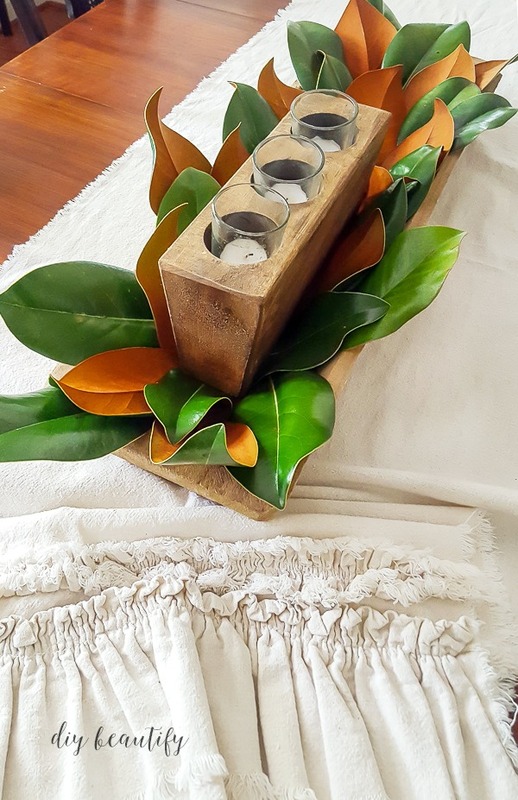 Some of my favorite finds started life as discards...there have been chairs, a table, a dresser set, a ladder, plant pots and oh yes, magnolia leaves! 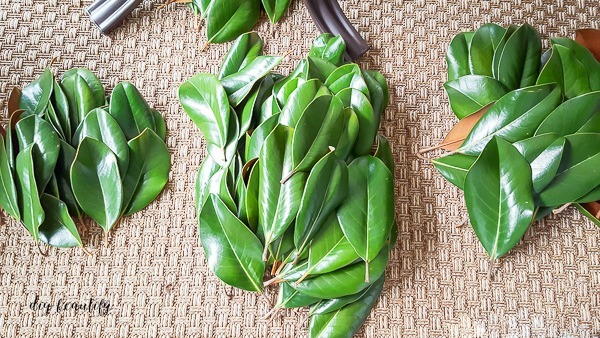 We don't have a magnolia tree in our yard, so when I spotted a large pile of freshly clipped branches at the end of my neighbors driveway recently, I raced home, grabbed my clippers and a large black garbage bag, and headed back. 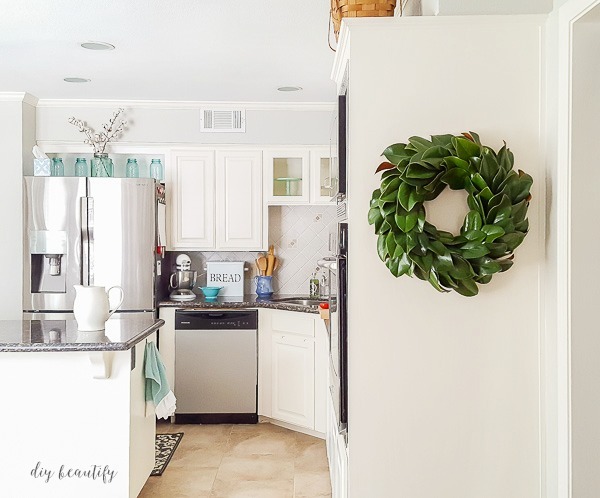 Making a fresh magnolia wreath took a little trial and error, but I finally figured out the fastest way to make one that will last! 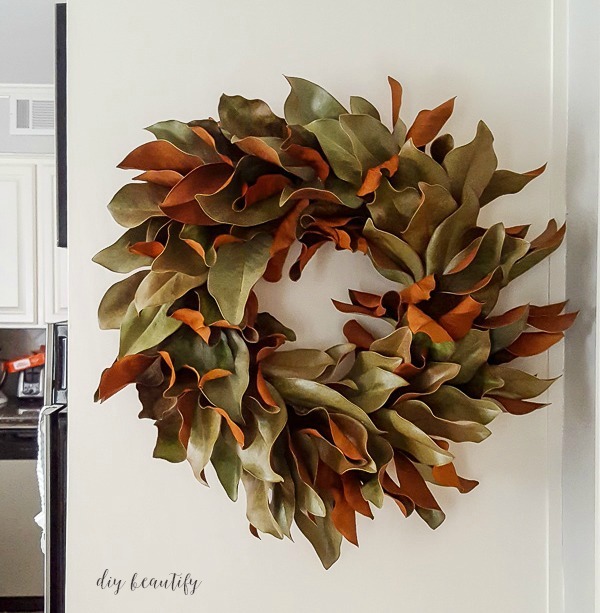 Spoiler alert: fresh magnolia leaves lose their bright green color as they dry, and your wreath will look completely different in a few weeks, although still beautiful. If that's not cool with you, just buy a faux one from Hobby Lobby! 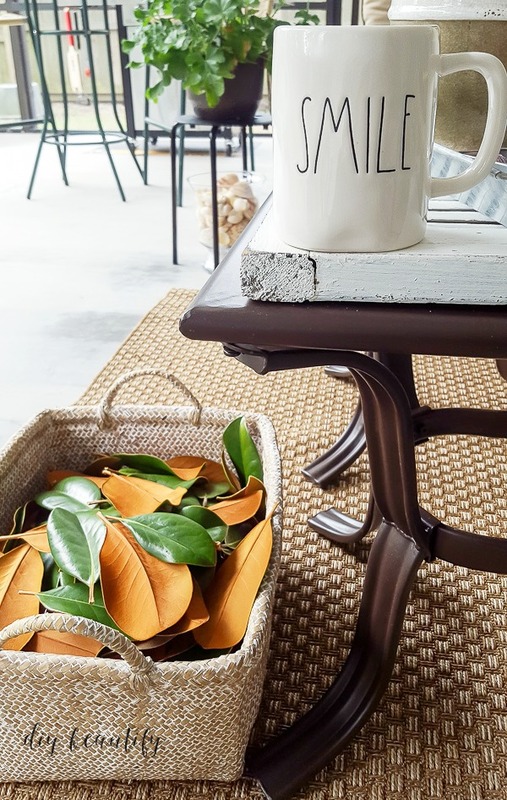 Pull all the good leaves from the branches and toss them in a basket or bag. The back porch is a great place to do this because it can be a little messy! 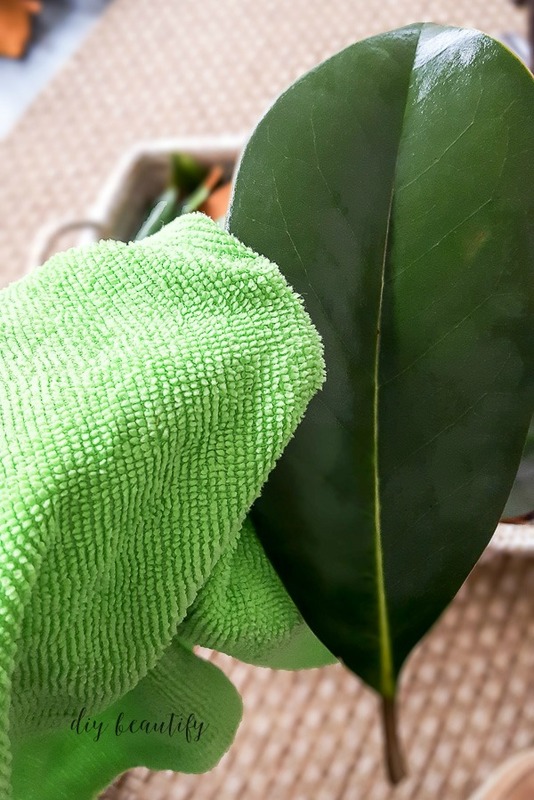 Use a damp rag to lightly wipe the leaves to remove dust and other gunk from each leaf! Sort leaves into three piles by size S, M and L. Don't overthink this step! 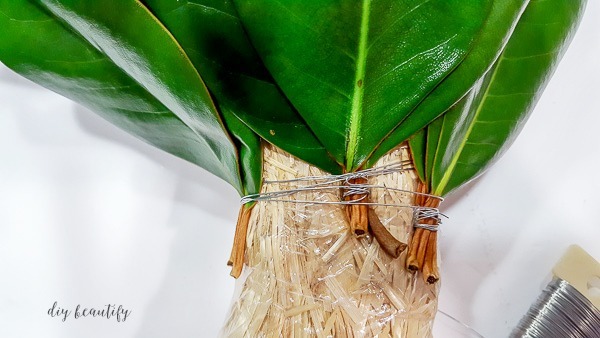 Take 3 leaves and tie the stems together with wire. 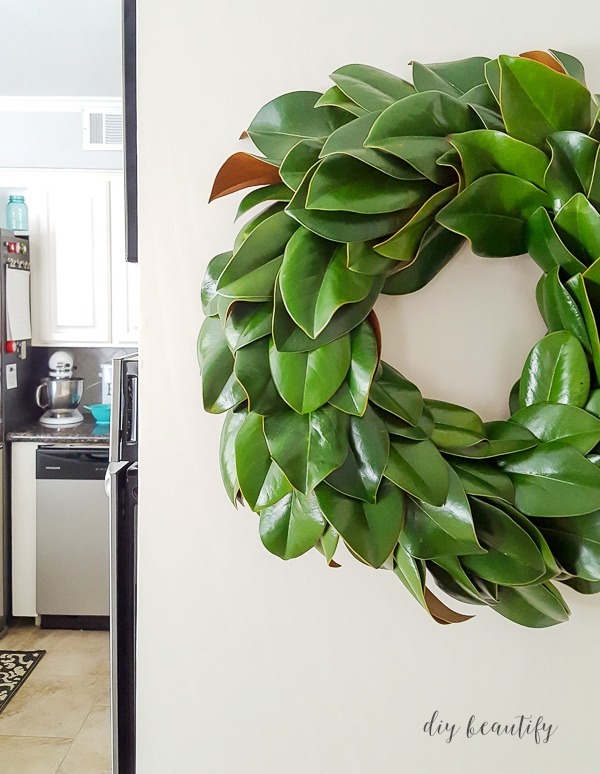 While I show different sizes of leaves, I used mostly the same sized leaves for this wreath. 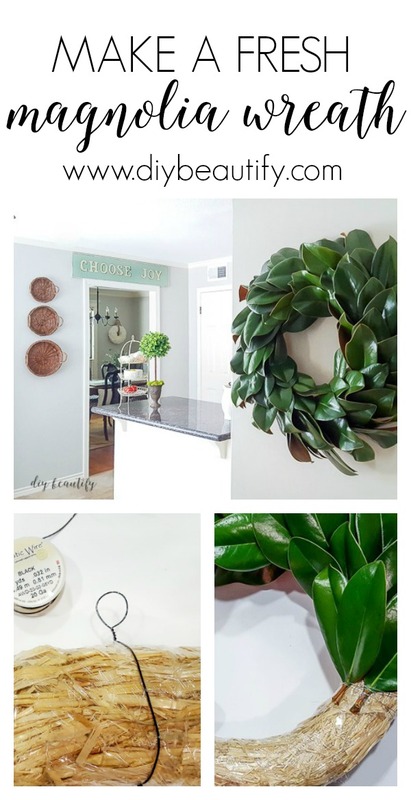 Save the leaves that you don't use (I'll share why a little later)! Note: this step is time-consuming but will save time in the long run! Once you have bundled all your leaves into sets of 3, you're ready to start forming your wreath. 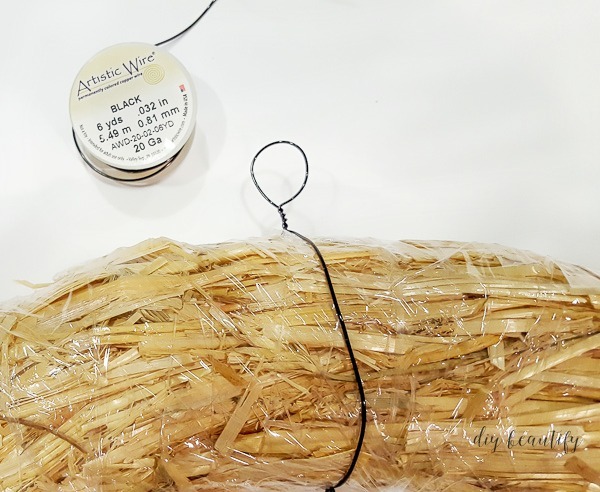 B efore you start attaching leaves to your wreath form, make a small hanging loop out of a thicker gauge wire (20 gauge) and twist it around the top of your wreath form to secure. 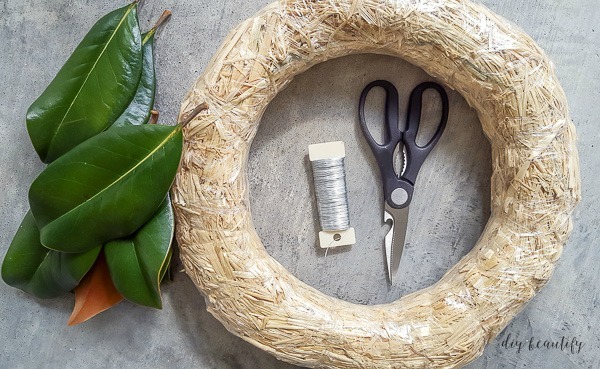 You will be very happy to have this loop when you go to hang your wreath up!! 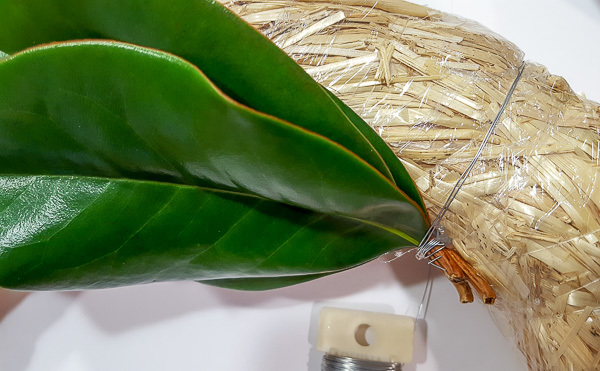 Using the thinner paddle wire, attach a bundle of leaves to the wreath form. Don't cut the wire! You're basically going to do an inner set, middle and outer set - so 3 overlapping layers of leaves in a row, like this. Remember, don't cut the wire! 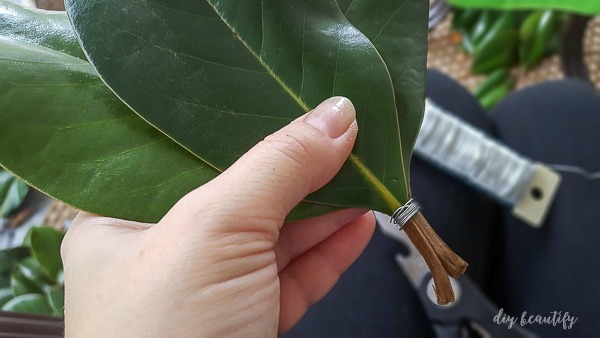 Just keep wrapping sets of leaves, overlapping the stems. It actually goes fairly quickly because the leaves are large! 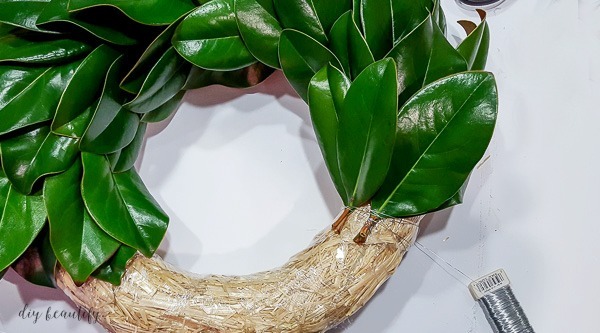 Once you've covered the entire wreath form in magnolia leaves, cut the wire with a long tail that you can twist and secure at the back. Hang it up and take a picture! Those extra leaves I saved? 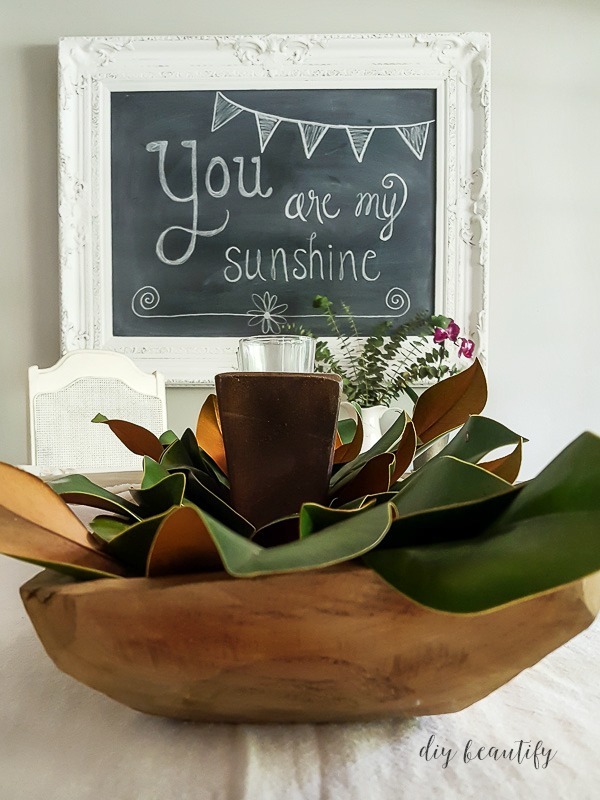 I put them in a long dough bowl on my dining room table where they made a very pretty centerpiece...until I needed some of them for my wreath. Over the next couple of weeks my magnolia leaves dried out. You can see that as the leaves dried, some of them twisted and curled. I had a few spots where the wreath form was showing...that's why I told you to save a few leaves. 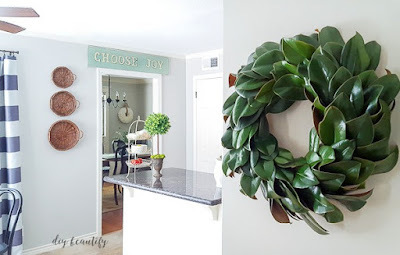 I'm so glad I did because I just tucked in the extra leaves where the wreath needed it! It's still beautiful, but it is fragile so try to hang it where it won't get bumped! 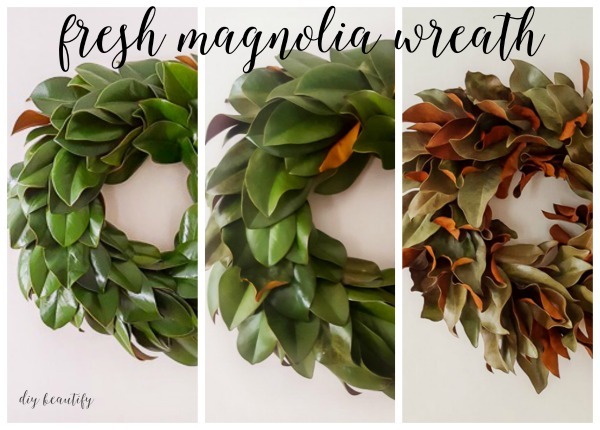 Let me know if you follow my tutorial to make a fresh magnolia wreath!